Nothing about this surprises me except how blatant it is. I'm astonished. They had an opportunity to undermine the culture and prosperity of half a dozen "allies" by dumping thousands of subhumans on them and they gave it up! Kiked by their own kikes? I'm sure they're just taking some time to research a more subtle way of doing this. 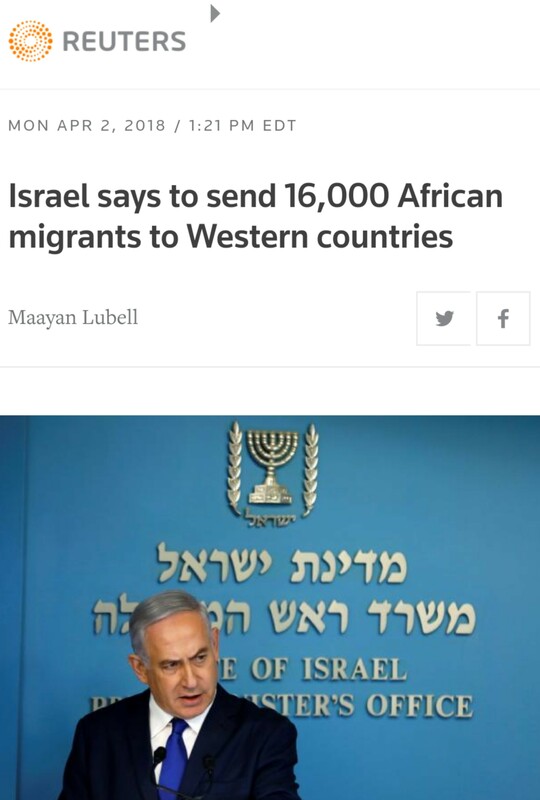 Israeli Trump supporters felt that if they shipped 16,000 off that in a year they'd have 16 million expecting them to do the same. In other words, it makes just as much sense as anything else Trump says. We truly are living in The Stupid Ages.